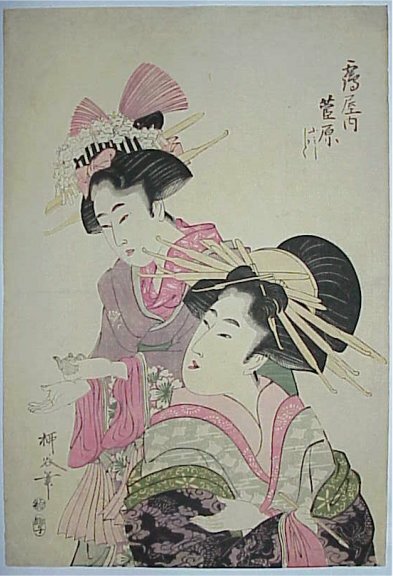 A rare artist working in the style of Utamaro. Shows the courtesan Sugawara of Tsuruya with a brush in her hand and an acolyte bringing ink. Unidentified publisher. Fine impression. Very good colour. One light crease otherwise very good condition. Signed Ryukoku fude.